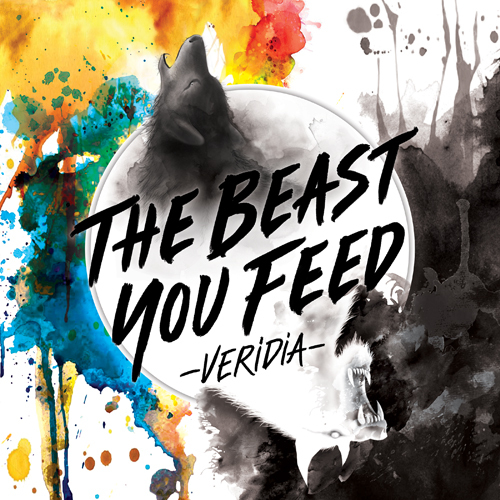 After making waves with two introductory EPs and being handpicked by Amy Lee to support Evanescence during the band’s 2016 tour, Nashville electro-pop/rock trio Veridia has now released its full-length debth album, The Beast You Feed. 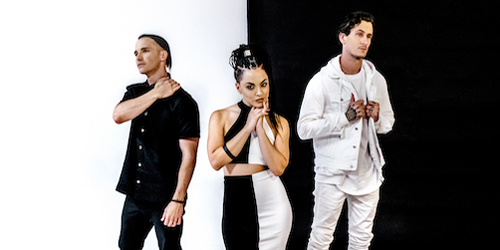 Produced by Matt Squire, the album is wrought with themes that the band describes as black and white, “brokwn up into two parts: the first is a confessional, while the second is a declaration.” Vocalist Deena Jakoub goes on to state that the record “starts from a selfish, wounded, ‘dark’ perspective and gradually shifts as I tell stories of people that come in and out of my life, who teach me about the fragility of life itself and the truth about love – that it exists only out of a selfless, sympathetic heart and not without pain or hardship.” She further explains that the album’s title was inspired by a Cherokee proverb of Two Wolves, as well as drawing on her own Egyptian heritage, with further inspirations revolving around her battle with an adrenal disorder, coping with grief, and raising awareness of mental illness and suicide prevention. In addition, Amy Lee makes a guest appearance providing piano on the track “I’ll Never Be Ready,” a song Jakoub explains is about her emotional processing her father’s illness a year before his passing; with her and Lee exchanging stories of recent loss and bridging their own musical sounds, she says the song is a “a reminder to live solely in our gifted moment.” The Beast You Feed was released independently by the band on October 26 and is available via all major outlets.